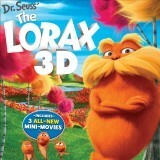 The Lorax Has Arrived on Blu-ray and on Draw Something! Today, Universal Studios Home Entertainment and Zynga announced a first-time partnership to commemorate the highly anticipated debut of Dr. Seuss’ The Lorax on Blu-ray & DVD on August 7. Starting today, this week-long in-game integration brings one of the year’s top animated films to Zynga’s popular games Draw Something and Words With Friends to benefit local schools across the United States. The imaginative world of Dr. Seuss comes to life like never before in this visually spectacular adventure from the creators of Despicable Me! Twelve-year-old Ted will do anything to find a real live Truffula Tree in order to impress the girl of his dreams. As he embarks on his journey, Ted discovers the incredible story of the Lorax, a grumpy but charming creature who speaks for the trees. Featuring the voice talents of Danny DeVito, Ed Helms, Zac Efron, Taylor Swift, Rob Riggle, Jenny Slate and Betty White, Dr. Seuss’ The Lorax is filled with hilarious fun for everyone! UNIVERSAL CITY, Calif., August 6, 2012 – A popular Dr. Seuss Book and character that made over $200M at the domestic box office as a major animated motion picture this past spring, Dr. Seuss’ The Lorax, will appear as a subject to be drawn in Draw Something. Players will also be provided a free Dr. Suess’ The Lorax color palette, typically earned through credits or purchased by the player, to be used in all game play. Additionally, Words With Friends will feature special Dr. Seuss’ The Lorax words to play during the promotion. 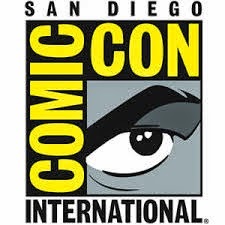 “Both games are highly engaging and accentuate three key attributes that fans like most about the movie; fun and clever word play mixed with vibrant colorful animation,” noted Joe Eibert, Vice President of Digital Marketing for Universal Studios Home Entertainment. In-game prompts in both games will encourage players to go to www.loraxsweeps.com for chances to win gift cards and other special prizes including Dr. Seuss books to be donated to a school of their choice. After launching in February 2012, Draw Something quickly and organically grew to become an international hit. The game is built for collaboration between friends — one player draws a picture of a chosen word and the other must guess the word correctly before taking their turn at drawing. Players earn coins by guessing pictures correctly and can earn new shades of color to draw even brighter, more eye-popping pictures. Draw Something recently launched in 12 additional languages. Words With Friends is a word building game that challenges players to create the highest-scoring words while playing against family and friends or random opponents. Players can be engaged in up to 20 games at once and are able to communicate with each other through an in-game chat feature. Words With Friends is a part of the With Friends franchise of mobile social games by Zynga. Dr. Seuss’ The Lorax sweepstakes site will encourage visitors to play Draw Something and Words With Friends to enjoy The Lorax in all new ways. The promotion is the first in-game integration to run in two Zynga mobile games simultaneously. Dr. Seuss’ The Lorax promotion in both games will kick off August 5th and run through August 12th, including a Draw Something Takeover on Tuesday, August 7th.